Founded in 2009, Neuwall, Inc. is headquartered in Shanghai, China. Neuwall, Inc. was developed from Shanghai Gibo Star whose reputation for providing high-quality, cost-effective and energy efficiency Building Materials. Neuwall Movable partitions wall, Inc, made its mark in the full-height movable wall system called the series NW821,835,841 and Ultra-high Partition Wall, targeting large organizations in the world that required the flexibility to quickly and efficiently reconfigure their office environments. 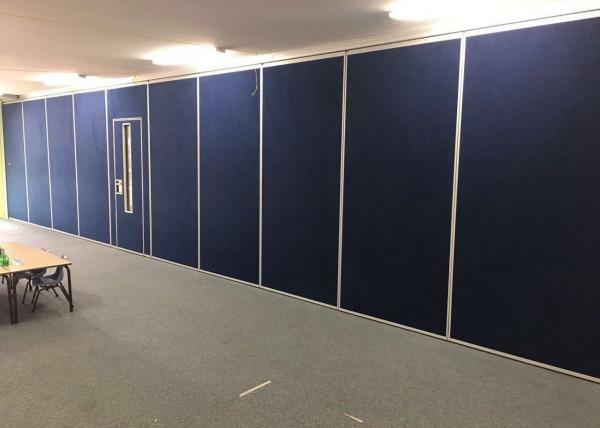 Neuwall, Inc. affiliated Shanghai Gibo Star, allowing us to ensure a continued commitment to improve and innovate our movable partitions wall system. Passdoor enabling access to neighbouring rooms. Stacking one or both ends. Top hung and floor with Rubber seals achieving excellent soundproof effect. Reinforced aluminium frame construction for demanding condition. 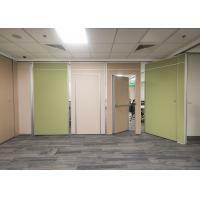 Hinged paired panels or single panel meet your different use. Professional installation and supervision can be requested. Site inspection and measurement are available as request. Provide digital CAD drawings by request according to site drawings. 1. 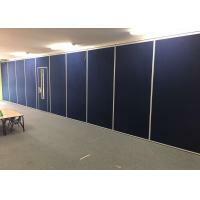 How to select the suitable movable wall for your site? 2. What you should do on site? A beam(truss) should built on site for track installation.The min distance leaving for track installation from false ceiling to top ceiling is 200mm. We will provide the installation manual and video guiding the installation job. 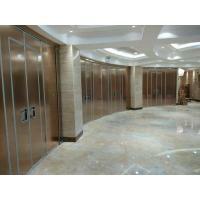 We can also dispatch the installation engineer supervising the installation job on site as request. 4. What is lead time? 6. How do the goods packing? corrugating paper packaging, MDF batten cover all around corner. The movable wall panel and track, fittings will be packed separately. 7. What is Procurement procedure? 3) we quote the movable wall in accordance with confirmed drawings. 8. What is finishing face? The bottom panel is MDF or plywood, which is unfinished face. 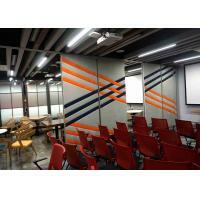 You can do decoration on site, such as wallpaper, paint, etc. We can also provide the product with finished face, such as faux wood, Woven fabric and Leather. 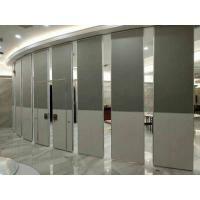 Neuwall Partition Wall, established since 2004, was developed from Shanghai Gibo Group whose reputation for providing high-quality, cost-effective and energy efficiency Building Materials and today we offer the wide ranges of Movable Partition walls and Glass walls in the world, targeting large organizations, such as Hotel, Office, Conference room, Restaurant and Public area in the world that required the flexibility, quickly and efficiently reconfigure their space environments. Our partitions are known for their quality construction, durability, beauty, versatility, easy movement, and quiet operation. All are customized to the project requirements. 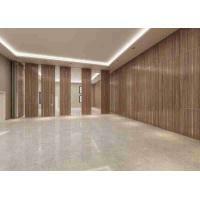 Although our partitions are most commonly finished with high pressure laminate, optional surfaces such as Fabric, Wall covering, Wood veneer and Melamine, etc, may be used as well. 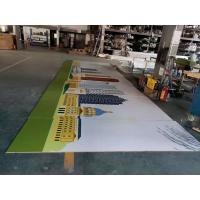 Panels may also be shipped unfinished for field application of murals or other custom surfaces to match or coordinate with the perimeter room construction. Dedicated to quality and customer service, we have an extensive engineering department that thoroughly evaluates and tests all products and materials. 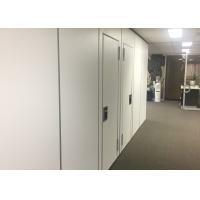 Our innovative engineers are always seeking the unique; And, as a result, we have more accomplished and more advancements in the Movable partition field than other manufacturers in our industry. 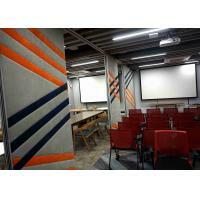 So we are Industry-leading acoustics, Multi-directional track systems, fire safety, and ease of operation. Neuwall's headquarters are located in Shanghai, China, composed of two manufacturing facilities in Shanghai and Guangzhou city. 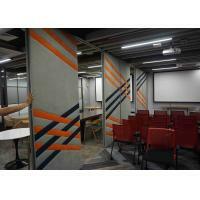 We provide the movable partition walls and service for the clients in USA, Brazil, the Middle East and Southeast Asia.